The city hopes to have a network of dockless, shared bicycles in operation by this spring. A bike-share program could roll onto Portland streets in a few months. City Hall is issuing a request for proposals, looking for companies to deploy up to 200 shared “dockless” bicycles that can be parked across Portland, or in select neighborhoods. Dockless bicycles can be parked anywhere in a city and unlocked with a smartphone. Traditional sharing networks rely on locking bikes in fixed parking docks. Riders pay a small rental fee to use the bicycles for short rides. “From what we know, Portland is a good market for a bike share system, we just want to make sure it does not have negative impacts on the city,” said Planning and Urban Development Director Jeff Levine. Shared bike systems have been gaining popularity in the U.S. for a decade, but interest exploded about two years ago as tech startups put tens of thousands of dockless bikes on the streets of major U.S. cities. As fast as the expansion was, the contraction was even faster. Some bikeshare companies like Chinese ofo, faced financial challenges and disappeared from the market. Others, like Spin, transitioned to focus on popular shared electric scooters. Despite the early volatility, city officials think now is a good time to try and bring a dockless system to Portland, Levine said. Companies are being offered a one-year trial period with a possible two-year extension. They will have to pay a $1,500 permit fee and provide public bike racks to accommodate 10 percent of their fleet. The program will not use city funds. The vendor will be solely responsible for planning, maintaining and operating the system. The vendor will have to file a plan that outlines how it will maintain and manage its fleet, including anticipated winter operations. No all-electric bicycles or electric scooters are permitted. Portland hopes to avoid the problems that dogged early rollouts of dockless bike shares elsewhere, such as complaints that bikes were cluttering sidewalks and other places, and getting vandalized or stolen. City rules prohibit parking dockless bikes anywhere that block sidewalks, parking spaces or building entrances. A bikeshare operator will also have to report after the first month how many riders are using its bikes, and reduce its fleet size if it finds it is being underused. “If there is going to be a bunch of bikes that aren’t being used, we want to have some ability to say ‘that’s too much,’ ” Levine said. Other New England cities have dabbled in dockless bike share. Ofo had an off-and-on program in Worcester until it pulled out last June. The Metropolitan Area Planning Council, in Boston, selected Spin and LimeBike to provide dockless bikes in 15 communities around the city last year. Although Spin pulled out to focus on its scooter business, the program has otherwise been a success, said Kasia Hart, a transportation policy and planning specialist with the council. 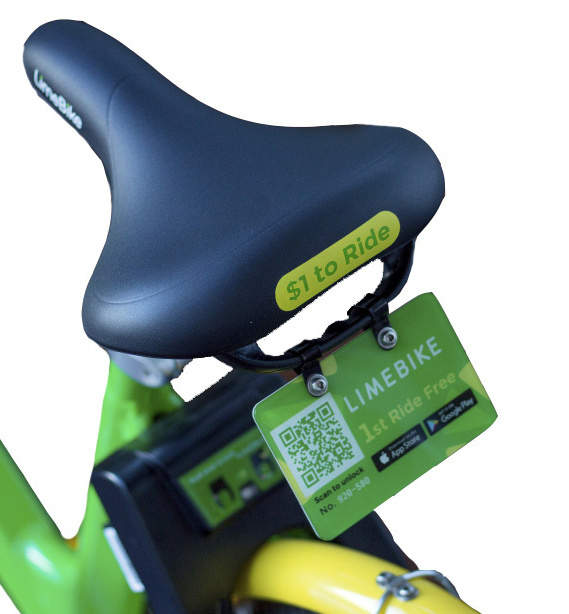 The pilot year is up in May but LimeBike can get annual extensions. “At this point I think LimeBike and the communities are all interested in continuing the program,” Hart said. But with a volatile industry, she’s uncertain how long the arrangement will last. Since the contract doesn’t cost the communities anything, they have to have reasonable expectations, Hart said. Plus, this transportation sector is changing so fast, it is hard to say what the next big thing will be.